KITO PWB acknowledges that its primary role is a manufacturer of chain and selected fittings. To allow us to supply the complete range of products required to service our customer’s needs, we have meticulously selected international suppliers to supplement our manufactured range. We are firmly committed to being a supplier through a strong, loyal, focused and indenpendent distribution network. We seek to provide quality products to market at a price that enables both our distributor and KITO PWB to derive “fair and equitable” margin on the transaction. Our experience, engineering capabilities and international partnerships, make us an invaluable partner in the Australian lifting industry. We value mutually rewarding partnerships with our distributors. KITO PWB provides the total lifting package to industry world-wide. At KITO PWB we stock a comprehensive range of spare parts for most of our products. Contact our customer service team for technical advice on spare parts. As a manufacturer of chain and associated products, KITO PWB is proud of ts record as a supplier of quality products. KITO PWB remains fully committed to supporting the product that it places in the market. For product that is not manufactured in our facilities, KITO PWB chooses only to use suppliers and sub-contractors that have the same commitment to quality as we do. A supplier to the KITO PWB network must display a willingness to share information of a technical and marketing nature and be open to discuss information crucial to ensuring quality is maintained. Therefore, KITO PWB proudly and confidently supports our products and materials against faulty workmanship with replacement or repair, during the normal working life of the product (this remains conditional upon the proper and appropriate use, care and maintenance of the product involved). 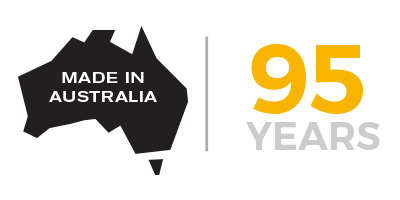 Support for the product supplied to the Australian market, is backed by our international network of partners and suppliers. Why not organise a training session for your staff? At KITO PWB our trained and experienced staff, are here to help. Contact us for advice and assistance with all your lifting requirements. Advice on product selection, technical matters, correct use and maintenance of our products, are examples of the assistance our team can offer.